In His Command Rie Warren. Commander Casper Cannon has been brought up under company rules – but he’s hiding a secret, he’s actually gay. His only escape is to a secret underground club for like minded people, and of course being there carries great risk. One evening he’s finally got together with a man he calls Blondie when an alarm is sounded. He makes it back to base to discover a revolution has started. The Company has practice at crushing these in the past but Caspar is charged with escorting a Company Exec Nathanial Rice to a secure location. Then he meets him… and its Blondie. He doesn’t know whether he can trust him or not, and the two face lots of dangers on their journey, meeting Freelanders, Rebels who want to live in freedom whatever their sexual leanings, and Caspar begins to question his own rigid outlook. There’s secrets that get revealed about both of them, that affect their feelings and actions and Caspar slowly learns to trust Nathanial. 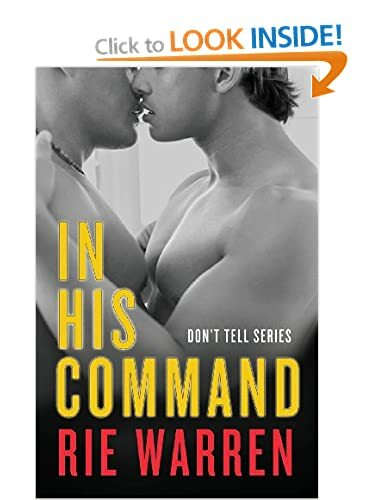 The romance between the two men is excellent, the slow burn attraction, the way Caspar wants but is afraid its a set up, and I loved the way it wasn’t a quick wow clothes off sexual read but a slow careful letting out of the intense desires they have. I can understand Caspars caution, he feels that he’s already under a black mark from one of the Company highers and that he’s just waiting for Caspar to set a foot wrong so he’s very very careful. Meeting the Freelanders made him question all he’d been taught, that was so interesting, the way we see how someone can be almost brainwashed into an opinion if that’s what they’ve been told and if they’ve been fed misinformation about another group. What let this book down for me, and its a purely personal failing on my part, is the Military parts. I’m simply lost when it comes to soldiers, hierarchy, tactics and fighting…so I skipped a lot of that and probably lost some interesting parts of the novel. It’s a solid 90,00 words (hurrah for the longer novel) but I don’t have kindle price. 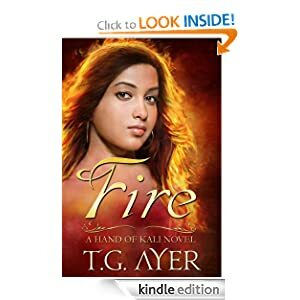 Fire: A Hand of Kali Novel. T. G. Ayer. This novel has a bit of everything, romance, demons, mythology, gods and goddesses, and is written in terms that make the reader feel they are there, and part of the scene. I’m not usually a young adult fan, but sometimes dip into the genre when the premise of a book appeals as this one did. Its full of details and drama, excitement and the angst of being a teen and not fitting in. It has the does he/doesn’t he worry about whether a boy likes a girl down to a T….that anxiety the dominates the thoughts of young adults, when what a boy/girl/ friends think about you is the whole world. So it is for Maya, Indian teen trying to fit in, crushing on new boy Nik, and being with her two best friends. There’s the typical teen actions of sneaking out to a party but for Maya the consequences have a huge impact on her life and future, and lead to a world filled with legends that are real, Gods and Goddesses that aren’t just words on a page or stories, and revelations about her own place in the world. She faces terrible danger, needs to re shake all her current beliefs, and all while trying to keep her family and friends out of danger. There’s so much in this tale that I’m sure young adults will love it – still, for me it was just a bit too “young adult” to become a keeper. It was OK for a one off read, but sadly not more. I’m maybe just the wrong age, though I have enjoyed other YA books. This is beautifully written but the actual plots just didn’t resonate with me 😦 Priced at £2.69 for 262 pages/539kb it’s around the average for length and genre. Stars: three – though I’m sure younger readers will rate it higher than I have. 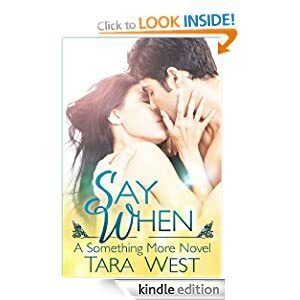 I’m an unabashed romance lover – among other genres 🙂 and this book sounded like one I’d enjoy. Sadly I didn’t seem to gel with this book. Its an easy read, with some potentially interesting characters – I loved Andres, wanted to kick Christina when she was so swayed by her snobby, bitchy mum, and as for her friend Karri – well, I hate that type that will neglect their child for themselves. Sadly though these people and the plot lines had promise, somehow the story just didn’t live up to it. “Show not tell” is something I’m always reading and finally understanding what it means. In this book we get to see and feel the emotions of the characters by being told, not through being shown via their actions. Somehow the plot which sounded good became bland, there was no sense of danger, no sad parts, although the plot contained parts that done in another way would have given the drama we need. Everything just seemed to flow on one level, where I want highs and lows, joy and tears, and a sense of drama as secrets unfold. The secrets here just came out over a few lines, no built up, no hype, no suggestions to get the reader wondering “what about/if/will happen?”and so the drama of them was lost 😦 missed opportunity IMO). Christina’s chance to make money from her art just came too easily, and there’s no way she could have done that painting in such a short space of time, and made it so good…It seemed a novel full of ideas that were just written, without thinking of the impact they should have on the story and characters, and the best way to present them. Maybe it’s fine for some readers and they’ll enjoy the story but for me it doesn’t cut it. Stars: just two I’m sorry to say, as I appreciate the work that goes into writing, but I feel this one needs a rethink.